For women, sitting together and creating has been a cross-stitched tradition binding families, villages and communities. The rhythm of around and over frames the stories and silences. In unison we move while the stories drift over the table. 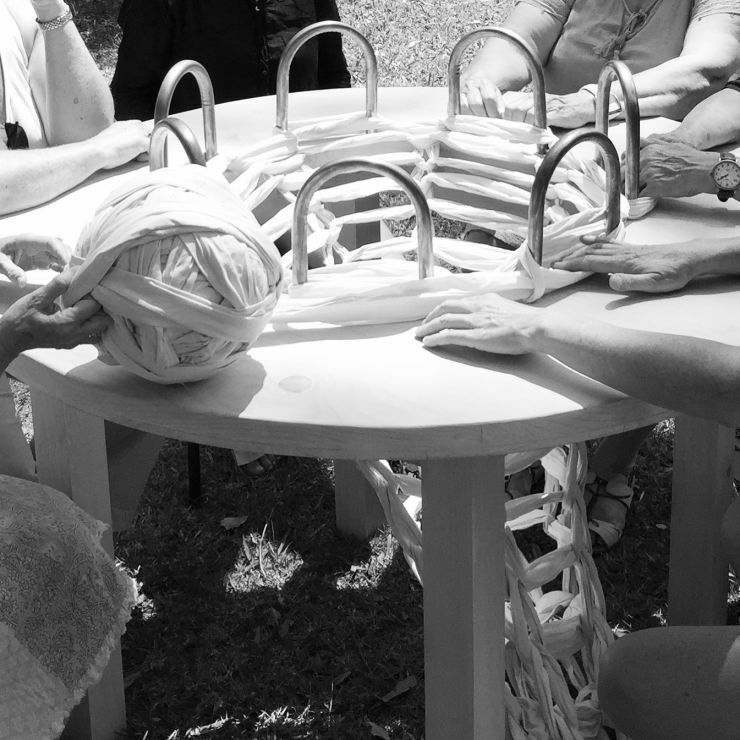 The combined action of knitting is a communal gathering where yarns become story lines. As an artist, my community understands the ebb and flow of creativity, supports my marks and together we trail this piece outwards. The beauty lies not only in this long tress emerging from under the table but the gestures and circle that completes each row. It is rare that artists and friends can sit around and yarn together.